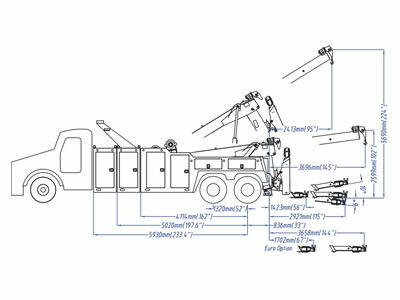 Our INT-30, 30 ton integrated boom and wheel lift wrecker is a simplified and slightly lighter duty version of our INT-35. Specifically designed for a single rear axel for 4×4 off road applications. From the gas-shock tool box doors to the standard complete wireless controls this wrecker will be the envy of every heavy driver. Keeping you rolling is our priority, so we’ve gone with all steel hydraulic lines and we’ve used only the best in cylinders, winches and steel. We’ve designed the INT-30 to work in any environment and it will fill the gap in your fleet. 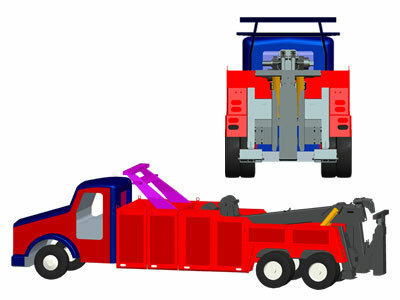 As with all many tow trucks, customization is the order of the day and we’ll build your wrecker the way you want it. 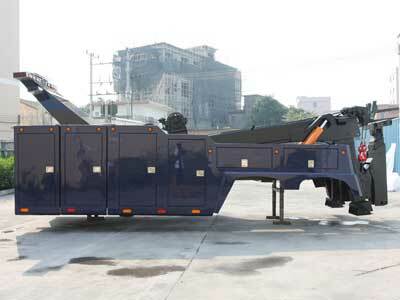 Don’t hesitate to inquire; standard and customized wreckers are surprisingly inexpensive.